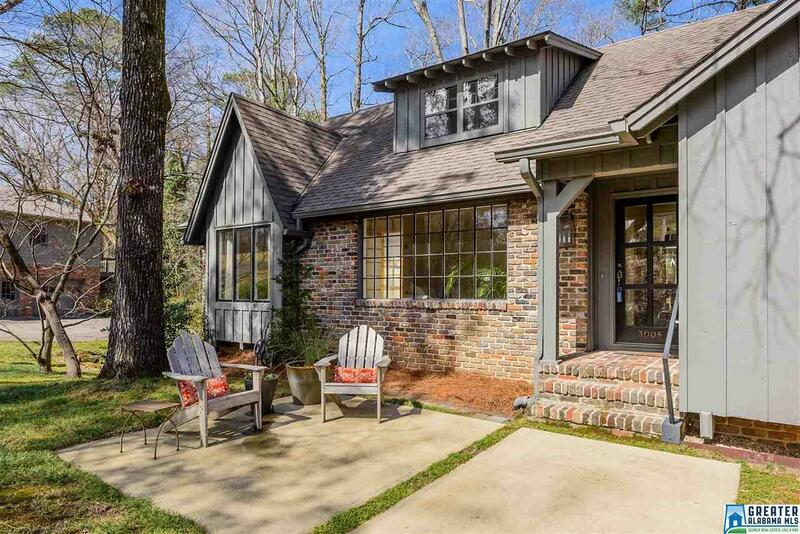 3008 Brook Hollow Ln, Mountain Brook, AL.| MLS# 808212 | Richard Jacks UABLIVING.com 205-910-2297 | Birmingham AL Real Estate | Contact us to request more information about our Homes for Sale in the Birmingham AL area. Mid-Century Modern Home retreat, is only minutes to Whole Foods, Cahaba Village, and Summit, Zoned Mountain Brook OR Brookwood Forest Elem, This professionally crafted home with hardwoods are awash with sunlight streaming through floor to ceiling windows and framing an enchanting view of the wooded lot and creek below. The kitchen features a custom walnut waterfall island, "smart storage" cabinetry, peacock pavers made in Alabama, and modern appliances. Spacious master bedroom and additional 2 bedrooms, all closeted for keeps, are on the main floor with a studio space on the second floor, for sleeping or playing. Bathrooms updated with grey and white designer tile, glass door, and fixtures. Adjacent to the 2 car garage is the she-cave, a den with fireplace, sink, refrigerator, half bath and separate entry. The 2 car garage has new doors and plenty of space for additional storage. Bonuses: NEW AC and a GENERATOR that services heat, lights, and refrigerator for main floor. Driving Directions: From Hwy 280, Turn On Green Valley Rd And Go Past Whole Foods On Your Right. Take Second Left On Knollwood Dr. Second Right On Brook Hollow Ln. Follow Brook Hollow Ln As It Winds To The Left And Then Right. Home Will Be On Left.